A new perspective: Do banks need to be an IT company with a banking franchise? Evolving developments in the sector are forcing banks to rethink their strategies. With the emergence of shifts in technology and customer behaviour, Philippine banks are being backed against the wall of transforming into a business that can effectively serve going forward. 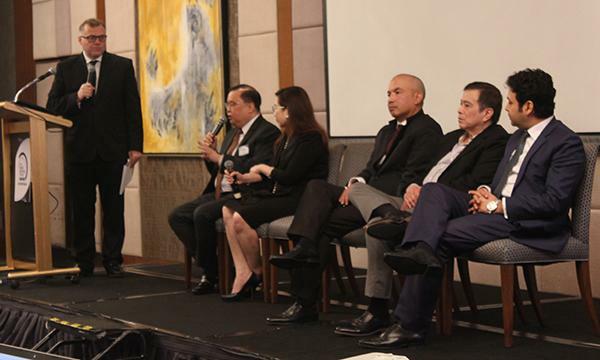 This is one of the pressing issues discussed in the Manila leg of the 2018 Asian Banking and Finance Retail Banking Forum held in Makati in February 28, which was graced by over 80 key representatives from the Philippine banking sector. Mohit Mehrotra, partner and co-leader at Monitor Deloitte, noted that businesses today are shifting from a command and control environment to a world of connected capabilities or ecosystems. With this, he said that it is important to be aware of the big shifts in the ASEAN region that have deep implications in financial institutions. Amongst these shifts are youth unemployment, growing migration, a time-constrained workforce, and the matter of old versus new generations of business leaders. These make businesses ask the questions: What do I do with people without jobs? How do I build my propositions to cater to my customers? How do I get my client’s attention? Mehrotra also pointed out the rise of Chinese internet giants that are building on sharing economy with their bold moves. Big tech companies are rapidly gaining traction, from BAT (Baidu, Alibaba, and Tencent) to TMD (Toutiao, Meituan-Dianping, and Didi Chuxing). 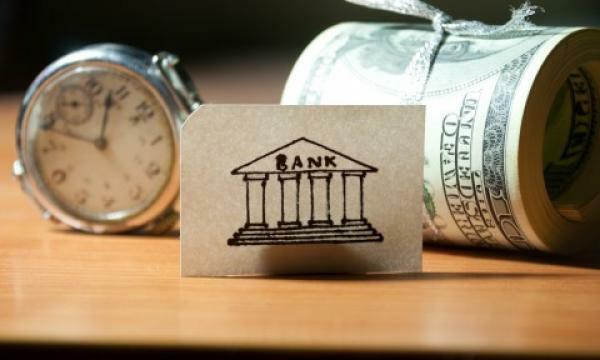 Furthermore, changes such as rising income inequality, disruption in legacy sectors, the influence of social media, and the rise of small businesses, are providing deep implications on how banks can thrive in this evolving world. So, do banks need to build their own ecosystems? Edwin Bautista, president and CEO at UnionBank of the Philippines, concurred that banks should digitise their ecosystems solutions or they will perish. “Market developments are forcing banks to hire technology to remain relevant to the customers,” emphasised Bautista. According to Bautista, banks need to change the ‘old organisation’ to be agile, and achieve the platformification of banking. He mentioned that when the first digital developments emerged five years ago, banks thought that at least they are the leaders in payments. Yet now with new companies taking the top spots in the payments sector such as BAT and TMD, banks are now the ones who need to step up. To Bautista, stepping up means going through digital transformation that require individualised intervention. He said that banks should be “an IT company with a banking franchise” to be able to keep up with rising digital challenges. UnionBank is currently partnering with fintechs to do this; now they have more than 250 APIs in their sandbox, employ robotics and AI, use blockchain for their B2B payments, and is working on an advanced funds transfer system. Chun Man Hui, regional principal solutions architect at Software AG Asia, affirmed that APIs are the key enablers in opening and sharing the proprietary differentiations in banking. He said that banks should build new business models because everything will be connected and shared in five years. “API is your gatekeeper to the outside world,” Man Hui added. With this, he encouraged banks to get partners so that they can learn how to monetise their data. The importance of digitalisation and using data was also reiterated by Sambit Pattanayak, VP for client services at APT Mastercard, especially when a bank is still in its testing mode for its digital transformation. He said that there needs to be a scientific method applied for the test and learn process of data, and speed in analysis of the results is truly helpful. Jose Martin Velasquez, first vice president general services division head at Philippine Savings Bank, agreed that digital transformation and virtual banking is the way to go for Philippine banks. However, he pointed out that a massive part of the Philippine market who use analog phones and the country’s poor internet connection limit the opportunities for banks to provide comfortable, quick, and easy digital banking services. Margarita Lopez, first senior vice president, head of digital banking and operations group at Rizal Commercial Banking Corporation, added that despite these challenges, digital is “no longer a channel or function.” She said that digital is already a fiber that defines banks’ business models and approach to collaborations to remain relevant. RCBC’s current efforts, such as partnering with IBM for blockchain for their cross-border transactions and learning how to use digitised currency, are aligned with this ideal. Casanova added that feedback and results come in quick with digital, so banks can immediately know what works. She said that banks are still on the first horizon and should have a mindset of continuous improvement and pursuit of innovation. In risk management, Sophie Ladores, chief risk officer at Land Bank of the Philippines, shared that banks must undergo the same stringent process before implementing new digital initiatives. She said that every step of the process must be monitored by the bank and rigorously assessed internally. For rural bankers on the other hand, digital banking has a different scenario. Alex Buenaventura, president and CEO at Land Bank of the Philippines, revealed that rural banks cannot do away with brick and mortar branches. This is why they are putting efforts on inclusive banking for overseas Filipinos through rolling out agent banking in more than a thousand municipalities in the country. He said that the next challenge for the bank is to go digital with overseas Filipino banking. Recently, big banks are also spending more money on data analytics. Casanova said that this is because banks want to have access to data to know how customers perform with other banks and their overall behaviour in terms of spending. Charmaine Valmonte, head of IT risk management & resiliency unit at UnionBank, agreed that when banks engage with their customers through a touchpoint, they look at their behaviour through an application. With that, Valmonte said that banks can understand their customers’ experience to build a personalised one, keeping and mining them as a result. Anneliese Schulz, VP at Software AG Asia, added that it is also about getting access to the right data and correlating meaningful data. On the issue of the rise of chatbots, Casanova believes that in the Philippine setting, customers will still find a way to talk to a person with their banking concerns. She also said that she believes in chatbots and automation, but that it is just a timing issue for its deployment. Valmonte concurred that there will be those who will prefer to talk to chatbots and there will be others who will not with the different segments of society in the country. With this, she believes that call centres in banks will not entirely disappear, but be empowered through retraining. Schulz shared that there are a still a lot frustrations in dealing with chatbots today both as a customer and a technologist. Thus, she said that it is going to be a hybrid world with the coexistence of both chatbots and call centres.